American International Life Assurance Company of New York (AILAC New York) is a New York City-based life insurance company offering supplemental health, accident, and life insurance products. The company also deals with annuities and a small handful of other investment vehicles. 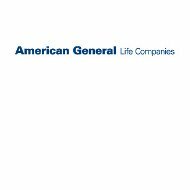 AILAC New York was originally founded in 1962 and is now one of seven companies that make up the American General Life Insurance Company group. Start your search for affordable healthcare insurance rates by entering your zip code right now. Although AILAC New York has only been in business since 1962, their parent company has been around for more than 160 years. The group boasts 13 million consumer and business clients located all across the United States and the Philippines. Combined, the group has paid out more than $34 billion in claims in just the last five years alone. In addition, their reputation as an exceptional insurance company to do business with is bolstered by the fact that they have won several insurance industry awards over the last couple of years. Due to the nature of American International’s different policies, filing a claim for health insurance is entirely different from what you would expect when dealing with an HMO or catastrophic care policy. With these more traditional policies, you simply inform your doctor or other health care institution about who your health insurance carrier is, and they file any claims on your behalf. With AILAC New York, you must file all claims yourself. The reason behind this lies in the fact that AILAC New York’s health insurance is designed to be supplemental rather than primary. This means that your primary health insurance carrier will be billed first, and the balance of what they will not pay will then be covered by American International. Once you receive a bill from your doctor or healthcare provider, you would file a claim, which would include a copy of the bill and documentation from your primary insurance carrier explaining why they are refusing to pay the balance. AILAC New York then reviews your paperwork and, if approved, writes a check for the balance due in your name. It is assumed you have already paid the balance – so the check you receive is reimbursement. However, you may also arrange with the doctor or health care institution to delay payment until your AILAC New York check arrives. Claims processing for medical policies generally take no more than 15 business days. Customer service for all seven American General companies works in two ways. First, the group maintains customer service centers around the country, which are staffed with knowledgeable and professional representatives. Customers who wish to deal with AILAC New York over the phone need simply dial the toll-free number listed above. From the customer service center, you will be able to enlist the aid of a representative in maintaining and modifying your account. You may also buy new policies through this venue as well. The second option is to go to the American General website and create an account with their eService portal. Through this portal, customers can manage their accounts, begin the claims process, modify current policies, purchase new policies, make payments, and much more. In the information age in which we now live, many customers prefer to do their business online do to its speed and efficiency. By providing this avenue alongside traditional telephone service, AILAC New York is able to meet the needs of all of their customers. If you are interested in a career with AILAC New York, their website indicates they are always looking for new local representatives and corporate employees. They provide the proper links where interested candidates can find further information. For local representatives, the American General group promises all the tools and support you will need to be a successful agent. If you are in the market for better health insurance rates, start your search now by entering your zip code below.